Yang, J., Jiang, Y. and Guo, Y. (2015). Measuring Blood-brain-barrier Permeability Using Evans Blue in Mice. Bio-protocol 5(15): e1548. DOI: 10.21769/BioProtoc.1548. Yang, J. X., Hua, L., Li, Y. Q., Jiang, Y. Y., Han, D., Liu, H., Tang, Q. Q., Yang, X. N., Yin, C., Hao, L. Y., Yu, L., Wu, P., Shao, C. J., Ding, H. L., Zhang, Y. M. and Cao, J. L. (2015). Caveolin-1 in the anterior cingulate cortex modulates chronic neuropathic pain via regulation of NMDA receptor 2B subunit. 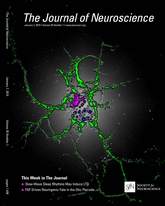 J Neurosci 35(1): 36-52. The blood–brain barrier (BBB) is a highly selective permeability barrier that separates the circulating blood from the brain extracellular fluid in the central nervous system. The blood–brain barrier allows the passage of water, some gases, and lipid soluble molecules by passive diffusion, as well as the selective transport of molecules such as glucose and amino acids that are crucial to neural function. This protocol provides a full, detailed method for measuring blood-brain-barrier permeability of mice with Evans blue (EB), that leakage was used to assess blood-brain barrier (BBB) permeability (sample: Anterior Cingulate Cortex, ACC). Mice were anesthetized with 10% chloral hydrate (0.3 ml/100 g, i. p.). Injected Evans Blue (EB) (2%, 2 ml/kg) from caudal vein 0.5 h before perfusion. EB leakage was used to assess blood-brain barrier (BBB) permeability. Mice were transcardially perfused with 0.9% NaCl until the perfusate from the right atrium ran clear. Mice were directly beheaded, stripping brain tissue on the ice, taking the region before bregma 2.34 mm, after bregma 0.22 mm and aside the middle line 0.6 mm of the cerebral cortex on a cooled culture dish lined before experiment with a knife, which was we focus on the ACC area of the brain. The obtained ACC area was placed in the Eppendorf container cooled on the ice. Each sample was weighed and then homogenized in 0.75 ml of PBS and 0.25 ml of 100% TCA solution, which could precipitate macromolecular compounds, including the nucleoprotein, using electronic homogeniser. Samples were cooled overnight at 4 °C, and then centrifuged for 30 min at 1,000 x g at 4 °C. The EB in the supernatants of each sample were subsequently measured at 620 nm using a 96-well plate reader, 100 μl of each sample was measured. All measurements were within the range of detection established by the standard curve. The dye concentration was calculated as the ratio of absorbance relative to the amount of tissue. This study was supported by grants from the National Natural Science Foundation of China (81070888 and 81230025 to J.-L.C., 81200859 to H.-L.D. 81202320 to Y. -B. G.), Natural Science Foundation of Jiangsu Education Department (13KJB320024 to J.-X.Y. ), Natural Science Foundation of Jiangsu Province (BK2011198 to J.-L.C. ), The Scientific Innovation Group of “Qing Lan Project” of Jiangsu Province (to J.-L.C. ), and Jiangsu Provincial Special Program of Medical Science (BL2014029). We thank Wen-Zhen Duan, Heng Cai, and Tian-Hui Gao for administrative assistance. Dickstein, D. L., Biron, K. E., Ujiie, M., Pfeifer, C. G., Jeffries, A. R. and Jefferies, W. A. (2006). Abeta peptide immunization restores blood-brain barrier integrity in Alzheimer disease. FASEB J 20(3): 426-433. Harford-Wright, E., Lewis, K. M., Ghabriel, M. N. and Vink, R. (2014). Treatment with the NK1 antagonist emend reduces blood brain barrier dysfunction and edema formation in an experimental model of brain tumors. PLoS One 9(5): e97002.